Earlier this morning it was snowing here in Kansas City. It wasn’t anything major like the weather forecasters would have you believe, but there was still enough to accumulate and to slow down traffic. Luckily, I didn’t have work today and was able to stay home anyways. As I sipped on some hot cocoa I stared out the living room window at the corn field across the street. I could see the snow falling and as the snow fell I began to think about refrigerant. Yes, you heard me right. Refrigerant. It is something I think about daily and today was no different. I began to think about what the refrigerant market will be doing next year in the United States. What refrigerants will be going up? What will be going down? Which ones will be remaining the same? What possible surprises are there that could be coming down the pipeline? In this article we are going to go through each of the most popular refrigerants and what our predicted price for those refrigerants will be in 2019. We will cover R-22, R-410A, R-404A, R-134a, and R-1234yf. More often then not, if you have an air conditioner or refrigerant system the chances are you are using one of the refrigerants we just mentioned. However, if you find that there is a refrigerant that is coming up again and again and we haven’t mentioned please reach out to me so that I can research it and hopefully include in next year’s article. I will preface this article that this will be rather long as we will be covering each of these refrigerants in depth. If you wish to skip ahead and just read on a specific refrigerant please click the below link for the refrigerant you wish to read about. Otherwise, read on my friends, read on. As most of you know next year is the last hurrah for the HCFC R-22 refrigerant. This is due to the phase out coordinated by the Environmental Protection Agency. This phase out started back in 2010 by preventing any new appliances from using R-22. Then, as the years passed the import and production restrictions set in. The January 1st, 2020 date that is quickly approaching (Only fourteen months away) is the last straw. On this date there will be NO production or importation of R-22. That’s it. Finis. What that means is there will only be two future sources of R-22 refrigerant for consumers. The first is the backlog of inventory on the market. This is all the inventory that companies bought up on in prediction of this looming 2020 deadline. The other source is whats known as refrigerant reclamation. I won’t get into it too much here but reclamation is taking previously used dirty R-22 refrigerant and putting it through a certified refurbishing process. I’m an automotive guy and I see this reclaimed R-22 just like I see a remanufactured part. You get that savings, but you also get that understanding that it was previously used in a different application. Personally, I have no problem with buying reman or buying reclaimed refrigerant. If it goes through a certified EPA process, what’s the worry? Now, there is a third option out there that a lot of you may already be familiar with. Alternatives to R-22. There is a whole market out there dedicated to alternative refrigerants for R-22 applications. They could be a drop-in replacement or it could be retrofit. The point of these refrigerants is to give consumers a choice, and a lot of times save the customer money. There were times where the price of R-22 went through the roof and alternatives began to take off. But now that the price has begun to crash the alternative market has begun to shrink as well. To fully understand the R-22 market and what we predict it will do next year we first have to look at the past and the present. No, this isn’t a Charles Dickens novel. Along with the 2010 and 2020 dates another big part of the R-22 phase out occurred in 2015. This is where production and import limits were shrunk. This sudden loss of supply caused the price to climb and climb. In the summer of 2017 the price had gone over seven-hundred dollars for a thirty pound cylinder. Seven-hundred dollars. That’s twenty-three dollars a pound. Over these years companies and investors watched the price of R-22 go up and up. 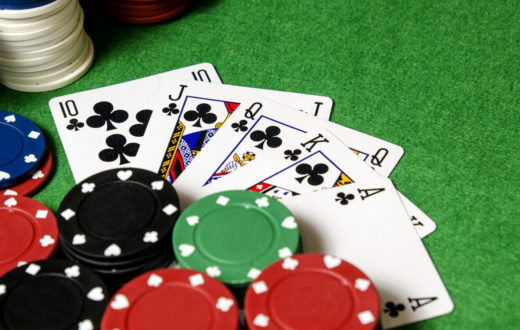 Some of the lucky ones bought up in 2014 and 2015 and held onto it when that high price hit. Others thought that the price was going to keep going higher. So, they bought. They bought with the hope of the price reaching eight-hundred, nine-hundred, maybe even over a thousand a cylinder. This wasn’t unheard of. Back in the 1990’s when R-12 was phased out there were times where it did reach one-thousand a cylinder. (Nowadays it’s about six-hundred a cylinder.) The problem is that this buy up was a gamble. No one truly knew what was going to happen. Would the price continue to climb as it did in 2016 and 2017? Or, would it began to settle back down and level off? What actually happened in 2018 was quite unexpected. Many people thought the price would go down and level off, but no one predicted that the price was going to be cut in half. Yes, in half. The price for R-22 in 2018 was slashed by fifty percent. That seven-hundred dollar price is now three-hundred and fifty. Actually, it’s even lower then that. Depending on how much you buy you could get cylinders for as low as three-hundred and twenty-five dollars. While contractors and consumers were rejoicing at this price drop there were many distributors panicking. Those guys who thought they were making a good gamble back in 2016 and 2017 are now stuck with a high priced product in a low priced market. 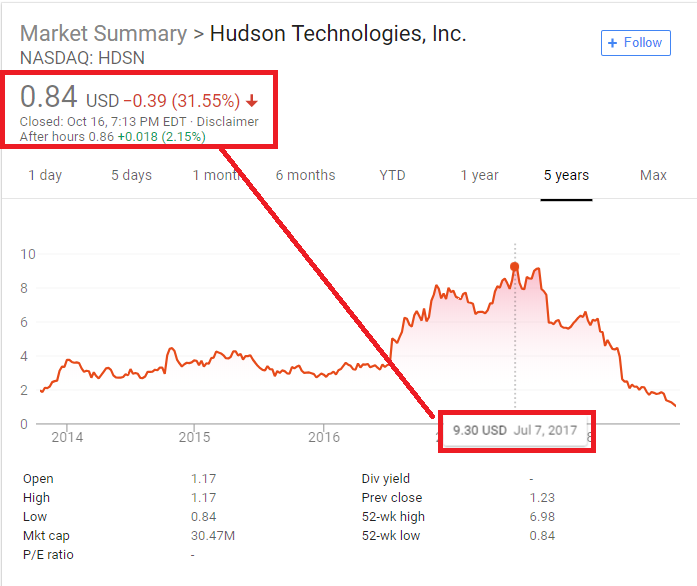 One extreme example of this is Hudson Technologies. Hudson is a refrigerant distribution company based out of New York and they bought up A LOT of R-22 refrigerant during 2016-2017. The graphic below is from Google but it provides a great illustration of the rise and fall of R-22 pricing. At the peak of R-22 pricing in summer of 2017 we saw a stock price of $9.30. Now, a little over a year later and with the price of R-22 more then cut in half we now see a stock price of $0.84. That is a HUGE drop. On top of the stock value loss Hudson also wrote off fourteen million dollars of R-22 inventory in their second quarter. Keep in mind too that the fourteen million is NOT all of their R-22 inventory. No, that is a cost adjustment so that they can be more competitive in the market place. Before writing this article I talked to a few leaders in the refrigerant industry to get their thoughts on what exactly happened here. The consensus that I received was that R-22 has a price ceiling. There is only so high it can go. If it goes above that point, like it did in 2017, then the lower priced alternative refrigerants began to take over the market. If you think about it it makes perfect sense. Would you buy a generic product if the brand name was right about the same price? Of course not. But, if that brand kept going up and up in price then that generic product begins to look more and more appealing. Along with the price going too high for R-22 due to speculation and over purchasing by distributors we also have to consider that the number of R-22 alternatives on the market today have exploded. I won’t list them all here but a few of the most popular ones are Chemour’s MO99 and Bluon’s XTD-20. Along with the amount of choices out there these alternative suppliers have also made it easy by offering drop-in or near drop-in replacement products. The good news though for your R-22 investors is that as the price of R-22 goes back down the demand for alternatives will began to erode. It’s a balancing act that a lot of folks found out the hard way. Ok folks, so now we’ve gone through what’s happened over the past few years when it comes to R-22. Now it’s time to take a look at what considerations I will be taking into account for my prediction for 2019. In my day job I am a software analyst. 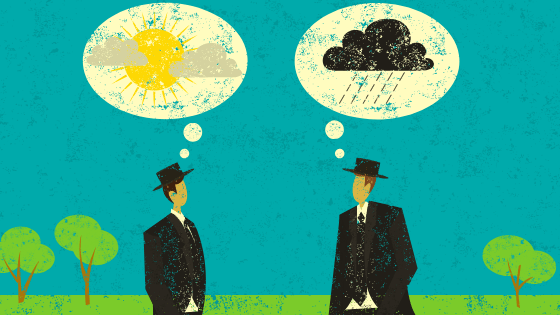 I look at the details of a program or problem and figure it out through careful analysis. I love digging into the details like that. I take the same approach here when it comes to my prediction. The price was cut by fifty percent this year and many people say that it can’t go lower. The ‘newest’ R-22 machine is from 2010 or earlier. So, that puts the machine at nearly nine years old. 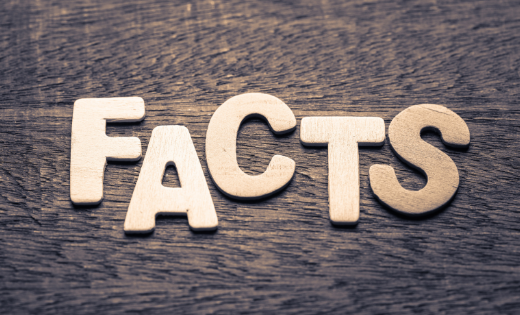 A typical home’s air conditioner lasts between ten to fifteen years. Some of these R-22 will start to be replaced with R-410A. This will shrink demand and lower price. When we hit 2019 there will be less then a year before total phase out of R-22 begins. This could drive price higher due to people wanting to buy before the cut-off. In my opinion the market is saturated. Too many people have bought too much R-22 and now with this price drop they are just trying to offload, take the write-off, and be done. This can keep prices low. There is a refrigerant reclamation industry but I honestly don’t see this having much impact until at least 2021 or 2022. Unfortunately, most folks won’t go the reclamation route until it’s a last resort and with the over supply of R-22 on the market I don’t see reclamation making much of a dent. The last factor is the alternative refrigerants. As I mentioned above these refrigerants are in a careful balancing act with the price of R-22. If R-22 goes too high then the alternatives take over and cause the R-22 price to shrink back down. I foresee these alternatives contributing to a lower R-22 price. From my conversations within the industry it seems to be that the ‘sweet spot’ for R-22 is right under five-hundred dollars a thirty pound cylinder. That price allows consumers to still purchase the refrigerant without everyone running towards the cheaper alternatives. If that five-hundred target doesn’t happen then I have seen others state that between four-hundred and four-hundred and fifty a cylinder is enough to deter alternatives and still make a profit. This price is what the distributors want, but what will actually happen? As far as what will occur next year, it’s tough to say. My prediction is that we will see this very low price of around three-hundred and thirty a cylinder maintain throughout the winter months of 2018/2019. Then, as we inch closer to spring I expect to see a slow uptick in pricing. When we get into spring, say April or May, we could see R-22 prices at around three-hundred and sixty to three-hundred and seventy-five dollars a cylinder. Moving into summer I could see prices climb upwards to four-hundred dollars. The absolute highest I see is four-hundred and twenty-five a cylinder and that would be at the peak of summer. As summer wanes and the fall begins to set in I could see price of R-22 maintaining right around that four-hundred to four-hundred and twenty-five dollar price. This price will continue onwards until we hit that January 1st, 2020 deadline. From here it’s hard to say. Will the price stay flat, or will it rise slightly? Time will tell. Most everyone’s mind has been on R-22 and what’s going to happen next year with the 2020 phase out deadline. With all of this change it is easy to forget about Puron, but the 410A market share is only growing and it’s pricing impacts can have a substantial effect on contractors and consumers. After all, R-22 is on it’s last legs and it is not going to be around much longer. 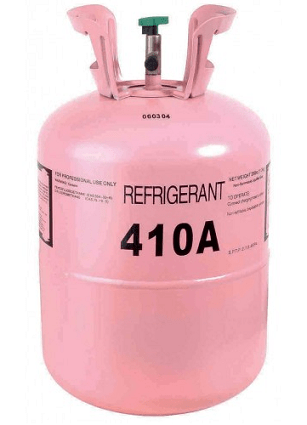 Sure there are other alternative refrigerants out there but like it or not R-410A is the king right now. Looking back at my prediction on R-410A from last year I have to say that I was way off. I had predicted a 2018 summer price at around two-hundred dollars per twenty-five pound cylinder. While that may have sounded crazy, we should consider what we saw in the 2017. Last year there was a shortage in the chemical known as Flurospar. Flurospar is a key ingredient in fluorinated refrigerants like R-125. (R-410A is a fifty percent mixture of R-125 and R-32.) This shortage of Flurospar created a rippled effect on the supply chain and caused the price of 410A to skyrocket over the summer season and into the fall and of 2017. Last year’s prediction was based off of that pricing trend. I assumed that the shortage would continue. That is where I came up with my two-hundred dollars a cylinder number. What actually happened was quite different. In the early months of 2018 the price per cylinder was around ninety dollars per twenty-five pound cylinder. It had come down quite a bit from the previous summer’s price. What was surprising though was that the price kept on going down even as we got into the hotter months. 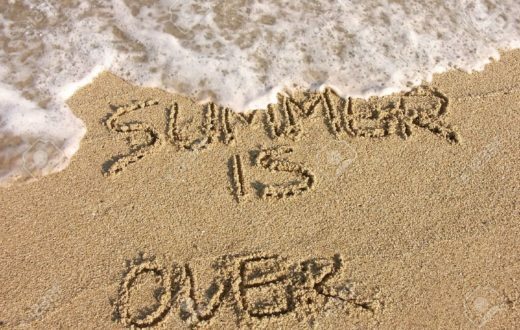 Usually as the summer months come we see a slight or large increase in refrigerant pricing due to the increased demand. This year however we saw the opposite. The price for a R-410A cylinder dropped by near twenty-five dollars. It went from around ninety dollars to sixty-five. That is nearly a thirty percent dip in price. One of our distribution contacts stated that R-410A was more volatile then R-134a this year. That is quite the change as R-134a is usually all over the place. The question now though folks is what will the pricing do next year? Will R-410A keep going lower? Will it stay put? Or, will we see it climb back to the higher priced levels that most of are used to? Back in 2016 there was an anti-dumping tariff instigated against Chinese HFC refrigerant blends. Included in this tariff was R-410A. I won’t get into all of the details here, but essentially there was a tariff put on R-410A. (For more information on the tariff click here to be taken to TheCoolingPost.) Here’s the thing though folks, this tariff was installed on ONLY the R-410A blended refrigerant and NOT the components of the blend. In other words R-410A was taxed but R-125 and R-32 was not. Doesn’t make much sense if you ask me. 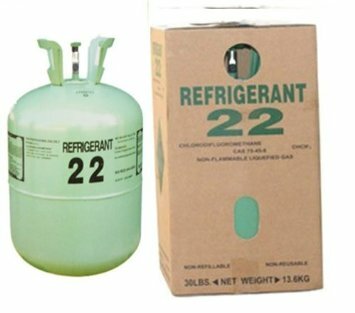 Refrigerant distributors took advantage of this loophole and began importing mass quantities of R-125 and R-32. Once imported they would then blend the refrigerants in their own facility. The dumping of cheap HFC refrigerants continued. This mass import of Chinese product has attributed to the much lower cost of R-410A that we are seeing today. With the end of R-22 coming in just about fourteen months the industry will be relying more and more on refrigerant reclaimers. These reclamation facilities can process this used R-22 refrigerant, clean it, and then issue it back out into the world for reuse. This is the ONLY way for ‘new’ R-22 to be found after that January 1st, 2020 deadline. Remember, once the stockpiles of R-22 run out reclamation is all that is left. It is too cheap to sell reclaimed R-410A in the market and make a decent margin because of the fractionating factors. It’s a two component refrigerant blend of R32 and R125 with a 50/50 mix ratio. If there is a leak in a system one component bleeds off faster than the other. This means we have to add that component back in to get the 50/50 blend once we reclaim it. So a reclaimed R-410A refrigerant actually has new refrigerant in it. This adds an extra layer of cost. Having that extra cost and then trying to compete with virgin R-410A at the rock bottom prices it is right now is nearly impossible. If the price of R-410A begins to rise, or if we get new tariffs instated like we mentioned above then the possibility of more reclaimed on R-410A market is there, but for now it remains out of reach. I’ve been doing these price prediction articles for a few years now and it has given me a unique opportunity to see the trend in pricing of R-410A over the years. Before I get into my prediction let’s take a quick look to see how the pricing has climbed over the years. Keep in mind that these prices are based off the standard 410A twenty-five pound cylinder. The prices are obviously lower if you are purchasing larger quantities. Looking at the above numbers we can really begin to see the deep dive in pricing that occurred this year. There was a time where a price between ninety to one-hundred dollars was pretty standard no matter what season it was. Now with today’s dirt cheap price of around sixty-five dollars a cylinder it is tough to say what will happen next. In an effort to help myself with this prediction I reached out to a few refrigerant distributors before writing this article. I wanted to know what they thought of the market this year and what they thought next year would bring. Each of them said more or less the same thing. Prices will be low, but stable. In other words folks, this sixty-five dollars price per twenty-five pound cylinder is here to stay at least for 2019. That’s right, our thoughts for 2019 R-410A pricing is the exact same price it is today. Last year I high balled it and got burnt so this year I am going to play it safe and take the advice of our distributors. Our official prediction is that the price will hover between sixty-five dollars to seventy-five dollars a cylinder. There will be some moving back and forth due to seasonality and all of that but for the most part the price will be stable. At this time the only wildcard that I know of is if Trump adds a tariff on R-410A or one of it’s components. If this happens then the pricing point is anyone’s guess. 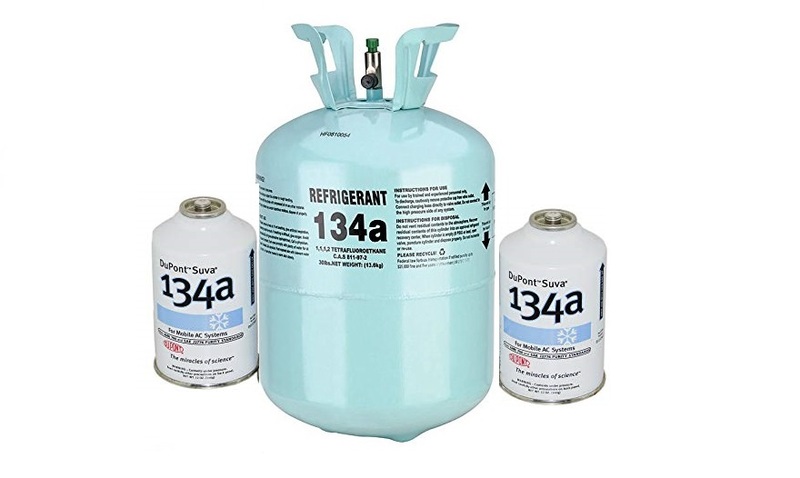 It may seem strange to have a favorite refrigerant, but I have to say folks that R-134a is it. 134a is how I got my start in the refrigerant industry back in 2007. Back then I was a corporate purchaser in charge of buying R-134a for the company’s various dealerships. My job was to figure out what dealers needed it, how much they needed, and what the market was doing on price. The goal was to send a purchase order at just the right time to just the right vendor. If done right then the dealer I bought for would have an aggressively priced product in a very competitive market. If done incorrectly then my dealer could end up priced out of the market or they could end up with a surplus of inventory that sits on the shelf as the price goes down and down. Doing this job allowed me to reach out to quite a few folks in the industry. I got to know them and I even got a few ties from Refron back when they were still a thing. (They were bought by Airgas and Airgas was bought by Hudson.) Because of all of this history I have with R-134a it is hands down my favorite refrigerant. Last week when I was writing my R-22 pricing prediction article I had a lot of feedback and thoughts from various people within the industry on what they thought would happen. R-22 is the hot topic nowadays. I attempted to get some similar feedback for R-134a and while I got some the enthusiasm was much lighter. In this article we’re going to take a look at what the market did this year on R-134a and what we can expect for next year. That being said, R-134a is a very volatile refrigerant and it can be difficult to predict what will happen. I remember in one year I saw the price go from sixty dollars a cylinder up to two-hundred and twenty a cylinder. You just never really know what will happen. I mentioned this briefly in our previous section but it’s worth touching on it again. The pricing on R-134a can change on a whim. I had one of my contacts within the industry even say that it’s impossible to predict. That didn’t give me much confidence in this article, but I’m still going to go through the work here and give everyone my two cents. The EPA’s SNAP Rule 20 was a rule introduced back in 2015 that aimed at phasing down HFC refrigerants. R-134a’s mandatory phase down was to occur in the year 2o20. (2021 model year) This ruling was overturned in the summer of last year and there were a series of appeals. Eventually though the EPA realized that it wasn’t going to happen and they rescinded their SNAP Rule 20. That means that the 2020 year deadline for vehicles using R-134a was now gone… well sort of. When it was realized that the EPA’s country wide phase down of HFC refrigerants wasn’t going to happen a number of States decided to take matters into their own hands. They were going to emulate the EPA’s now defunct SNAP Rule 20 and have their own State-Wide HFC phase down. California started this but we have had four other States follow suit. Many more may be joining this coalition of States soon. These States are large and account for a high amount of the Nation’s GDP. Trust me when I say that vehicle manufacturers are watching these developments closely. 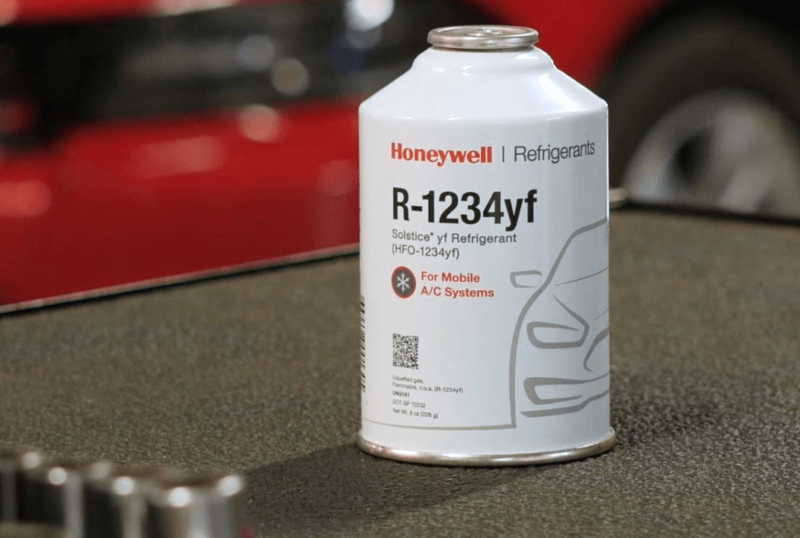 R-134a is a dying brand of refrigerant. Just like it’s predecessor R-12, R-134a is going away. Rather it is through mandatory phase out or just by companies switching to the new HFO refrigerant 1234yf. However it happens you should know that it IS happening. Vehicle manufacturers want to be on the right side of history and they want to have one process over many. Having their vehicles take 1234yf is a much easier solution. Each year that passes we have more and more cars on the road that are using 1234yf. That means less demand for R-134a which could in turn lower the pricing. The biggest change this year on R-134a wasn’t all of the court cases going back and forth. No, as far as pricing wise I believe the biggest change was the introduction of R-134a to the EPA’s Refrigerant Sales Restriction. In the past anybody could buy a cylinder of R-134a from Sams or Wal-Mart. However, as of January 1st, 2018 you could no longer buy cylinders of R-134a unless you were 609 certified with the EPA. That meant that all of the do-it-yourselfers and the hoarders of automotive supplies could no longer purchase R-134a. (Well they could, but only in small pound quantities.) This decrease in demand could have lessened the price over this 2018 year. Ok folks so now that we have a clear picture on what’s happening with R-134a we can now begin to give a prediction on what the pricing will look like next year. First though let’s take a look at what happened this year. Around January of last year I wrote a similar article on R-134a. At the time of writing the article R-134a was a just hair over one-hundred dollars a cylinder. Depending on where you looked at you could find a range between one-hundred to one-hundred and ten dollars a cylinder. This pricing was wholesale. What that means is that in order to obtain this price back then you had to buy around a pallet at a time. (A pallet of refrigerant is around forty cylinders.) The resale price at this time was right around one-hundred and fifty a cylinder upwards to one-hundred and seventy dollars. The prices today, ten months later, have gone down a bit. Instead of seeing wholesale pallet prices at around one-hundred we are seeing between eighty and ninety dollars. So, about a ten percent drop. I would attribute this drop due to the Refrigerant Sales Restriction we mentioned earlier. On the retail side of things we’re looking right about the same price level as before: One-hundred and fifty dollars. If we look at Ebay.com today we can see quite a few cylinders right around that same price. So, the question now is what’s next? What will happen for 2019? Truth be told I don’t see much changing for the next year. I feel like the popularity of 1234yf still hasn’t quite reached it’s peak yet and there are still so many vehicles on the road taking R-134a. There is talk from the Trump Administration on removing the Refrigerant Sales Restriction on R-134a. If that happens then we could see prices rise an additional ten to fifteen percent. If I was to guess I would say we’re going to hover right around ninety to one-hundred dollars for most of next year. We will most likely see the eighty to ninety dollar price for the rest of this year and earlier winter of next year but as the season begins to warm up and the demand comes back we should see the price tick up to that ninety to one-hundred dollar range. And, if the sales restriction goes away maybe slightly over one-hundred dollars. -134a. The likely substitute was 1234yf. So while the conversion over to yf has been slow, manufacturers wouldn’t have a choice when that 2020 year hit. Now however, things have changed. The EPA’s rule was overturned and now there is no definite end in sight when R-134a will be discontinued. While there are a few States that have moved forward with their own HFC laws I do not know if it’s enough to incentivise car manufacturers to make the switch to yf. We are now at a crossroads when it comes to R-134a and R-1234yf. Will manufacturers switch, will more States come on board to phase down HFCs, or will the Federal Government step in and come out with a new law or a new set of regulations? I’ve read a few reports from different sources but the consensus that I received was that most cars will not need an air conditioning repair for at least five or six years after purchase. What that means is that we really haven’t seen the brunt of 1234yf demand yet. All of the cars using this new refrigerant are only a few years old. Even if we go back to some of the first models to use yf we are only going back to 2014 or 2015. The demand is still quite low just because there hasn’t been a need for repairs… yet. As these vehicles age things will break and yf will be needed for air conditioning repairs. Tying right into the low demand of yf refrigerant is the situation that we mentioned earlier in the article. The EPA’s Rule 20 was overturned by the courts and now there is no definite date on when R-134a will be phased down. Many companies were expecting a large uptick in demand when that 2020 year hit due to manufacturers being forced to change, but now that mandate is gone. Will every vehicle manufacturer switch over to yf? And, if so, then when will they? Will it be by that 2020 date or could it be five or ten years down the road? The overturning of this EPA Rule 20 is most likely going to keep the demand for yf down for another year or two. I found a great image from a website called, ‘VehicleServicePros,’ that lists all of the OE manufacturers that are using yf and how many models they are using it for. See below image and click here source of image from VehicleServicePros. This above chart was from the spring of 2018, so while more may have changed it still gives a good representation. The good news is that based from the image there are quite a bit of OEs embracing 1234yf. GMC for example has eighty-three percent of their new models using yf and Honda is close behind with seventy-eight percent of their models. 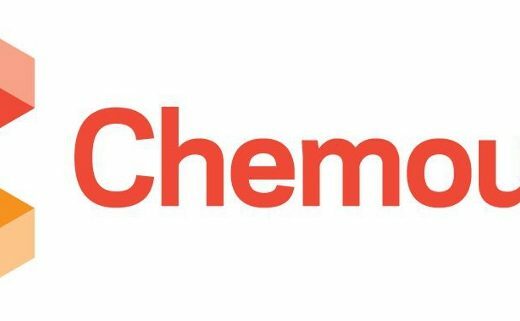 Honeywell and Chemours both invested a significant amount of money into opening two new 1234yf plants, one in Texas and one in Louisiana. Both of these plants allow these companies to accommodate the increased supply of yf. These plants were also built before the EPA’s Rule 20 was overturned and now they may be a bit overkill. Either way, I see these plants satisfying demand in the near future. There is talk from the EPA that they may be removing the refrigerant sales restrictions for HFCs. While this is just conjecture at this point it would be interesting to see if this does happen if 1234yf will be included in this list of refrigerants. If it is, then anyone can begin purchasing cylinders of 1234yf without a certification required. If this happens then we could see a rise in price as the demand from do-it-yourselfers grows. The last point I want to make before moving to our 2019 prediction is that the price of 1234yf has been VERY stable over the past few years. For the past three years the refrigerant has hovered between six-hundred and ninety dollars to seven-hundred and ten dollars for a ten pound cylinder. I haven’t seen this swing one way or the other over the years. My contacts within the industry have stated the same, the pricing isn’t moving. Last year when I wrote my 2018 yf predictions I ended the article stating that the refrigerant would be priced at around six-hundred and ninety dollars for a ten pound cylinder. And, lo and behold, today it is right around that price. I’m not going to brag though folks as this was an easy prediction. Like I said before, the price has been VERY stable over the years. As far as what will happen next year I am going to again predict a slight decrease in pricing. This is due to the R-134a being around for a while longer, vehicles with 1234yf are still too new for major repairs, and just the overall stability of the price. The biggest question mark is what will happen to R-134a. If 134a does go away soon then the price on yf will rise and rise fast as there will be no other options out there. (Maybe R-744, but that’s still in early stages.) While a plan may emerge from the EPA in 2019 or even late this year, the implementation of the plan will still be years out and I do not feel we will see a pricing impact in 2019. Our prediction on 1234yf pricing in 2019 is about six-hundred and seventy dollars for a ten pound cylinder. That equals out to about sixty-seven dollars a pound. Time will tell if I am right, but with how this pricing has been I can’t be too far off! I want to close this article by stating that these were predictions and that they are just that, a guess. No one knows for sure what will happen to the refrigerant market next year and if they say they do then they’re lying. It’s a complete guessing game. I can only provide my analysis on the matter and go from there. Lastly, I want to mention that this is one man’s analysis on the market. We here at RefrigerantHQ are not liable for any business losses or gains when it comes to buying and selling refrigerant. That is solely on you and your business.